CASE: Plaintiff in this case was a passenger in a car in New Orleans. The driver of the car turned left over streetcar tracks and was struck by streetcar. Defendant refused to offer anything in settlement. At trial, The Glorioso Law Firm called to the stand two witnesses from a sidewalk café who testified that they saw the streetcar conductor “checking out” the female customers, i.e. he was not looking for traffic. While plaintiff, a self-employed electrician, showed only $3,000+ in taxable income the year before the collision, The Glorioso Law Firm was able to show that was it not for a back injury (operated disc) he would have received thousands of dollars of federal minority set asides over his lifetime. 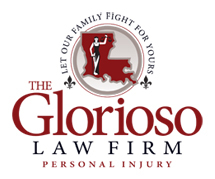 After a trial and appeal, The Glorioso Law Firm won a $2,000,000+ judgment.